1 A None No Power Seat 1 A is an Economy X Class Exit Row seat has additional legroom. The tray table is in the armrest, making the armrest immovable and slightly reducing seat width. There is no floor storage for this seat during take-off and landing. 1 C None No Power Seat 1 C is an Economy X Class Exit Row seat has additional legroom. The tray table is in the armrest, making the armrest immovable and slightly reducing seat width. There is no floor storage for this seat during take-off and landing. 1 D None No Power Seat 1 D is an Economy X Class Exit Row seat has additional legroom. The tray table is in the armrest, making the armrest immovable and slightly reducing seat width. There is no floor storage for this seat during take-off and landing. 1 F None No Power Seat 1 F is an Economy X Class Exit Row seat has additional legroom. The tray table is in the armrest, making the armrest immovable and slightly reducing seat width. There is no floor storage for this seat during take-off and landing. 17 A None No Power Seat 17 A is an Economy Class seat in the last row of the plane. The close proximity to the lavatory may be bothersome. 17 C None No Power Seat 17 C is an Economy Class seat in the last row of the plane. The close proximity to the lavatory may be bothersome. 17 D None No Power Seat 17 D is an Economy Class seat in the last row of the plane. The close proximity to the lavatory may be bothersome. 17 F None No Power Seat 17 F is an Economy Class seat in the last row of the plane. The close proximity to the lavatory may be bothersome. The Virgin Australia ATR 72-500 is used primarily for short-haul trips and has a seating capacity for 68 passengers in Economy Class. Row 17 is the best seat in the plane - first to disembark. I have flown on this aircraft a number of times and 90% of the time I sit in 17A or 17F. Being in the last row you are 1 of the first to disembark as the door is at the rear of the aircraft. Yes the toilet is close but on average 1-2 people may use it on the flight. We flew Canberra to Sydney with Virgin. First time I have flown in one of these aircraft, chose seats at front as I thought it might be a smoother ride. Could see the propellers which might be exciting for kids. (It was for me and I'm no kid)! Did mean that we weren't first off but such a small plane it didn't mean a long wait. In this plane the seats in row 17 are the best because: 1. You'll be the first one to get out. The only door is at the back. 2. All seats are pretty much the same, so no difference in comfort. 3. I've never seen anyone use the bathroom in these planes. They're only used for very short flights. 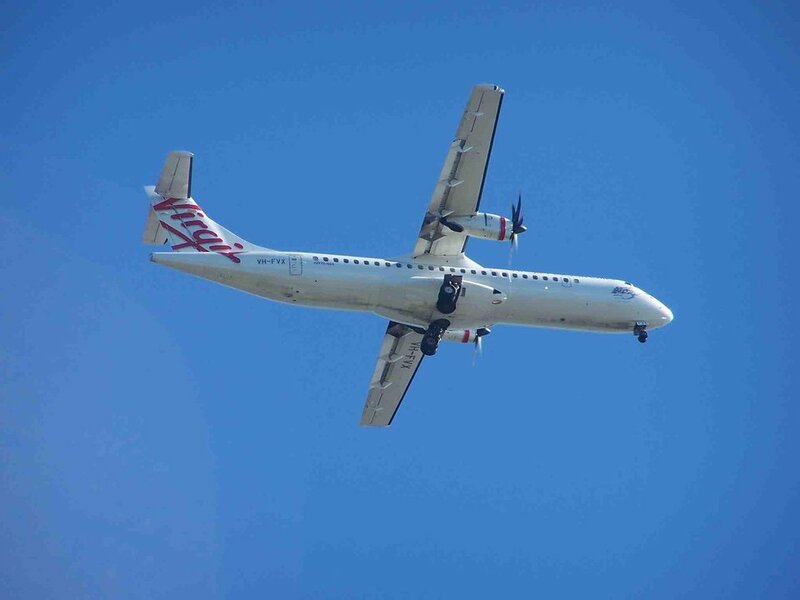 Virgin Australia flies 1 versions of ATR 72-500.